Peter was one of the first Computer Science graduates in the UK and holds postgraduate degrees in Computer Science and Psychology. Having worked initially as a University lecturer, then in Senior IT roles Peter started his first business in the 1980’s. This company eventually became part of a group which did a very successful full stock market listing. Peter returned to the SME world in 2002, turnaround a failing IT business, successfully doing a high value Trade sale. Peter has his own property business both in the UK and mainland Europe. Recently Peter helped a Hungarian start-up with its first-round investment. Peter has been a Member of FAST for many years and Chair of the Finance and Audit committee for the last 4. Alex has spent the last 25 years working in the IT industry. Following his completion of ICL’s graduate training scheme Alex moved to US software publisher Borland, managing the emerging retail business as IT superstores were established in the UK. He then spent 12 years at Microsoft, joining in 1994, gaining diverse experience within the organisation, from Enterprise sales through to Channel management. In November 2003 Alex moved from running the £500m UK Channel Distribution business to run Microsoft’s anti-piracy and Software Asset Management (SAM) teams. This role incorporated Microsoft’s anti-counterfeiting efforts through to corporate governance and working with influential third parties such as government ministers and pan-industry organisations to help draw attention to the scale of software piracy. As head of the UK SAM business, Alex ran a team of compliance and audit professionals as well as supporting the development of an ISO standard driving commercial awareness for intellectual property protection. In 2006 Alex joined Centennial Software as world-wide head of sales; a fast growing UK business developing software for the compliance and SAM market. He saw the business through to acquisition by FrontRange Solutions in 2008. Alex stayed in the merged businesses as Director of Infrastructure Management. In 2010 Alex joined Fasthosts Internet with direct accountability as Managing Director of Rise – their Cloud IaaS hosting proposition aimed at Channel Partners. Alex developed the Rise proposition to a profitable recurring revenue stream and in 2011 Rise was awarded Microsoft’s prestigious prize of world-wide Hosting Partner of the Year. In February 2013 Alex joined FAST as Chief Executive. He had been serving as non-Executive Director since 2008. Outside of work, Alex is married with four children, a keen cyclist, skier and real tennis player. Broadly recognized as an expert in building a comprehensive business-oriented response to product piracy, Richard currently leads Adobe's company-wide strategy to expand the business through conversion from piracy. This includes guiding the efforts to "understand" the pirate-consumer's activities and attitudes, suppressing piracy through corrective actions, and competing better with piracy through increased value proposition across all elements of the business. A C-level executive with 25+ years leading world-class teams, Richard's prior roles included developing Disney's global business response to piracy, CTO and technology innovator for famed Walt Disney Imagineering, CIO for Walt Disney Studios, Chief Communications Technologist for defense giant Northrop Grumman, and CSO for Electronic Arts focused on cyber-threat. An accomplished keynote speaker and spokesperson for industry on technical innovation, product security, and cyber security, Richard also served as a White House and NSC briefer to multiple presidential administrations and top foreign leaders. Frank is a Consultant to IT and Telco companies that go-to-market with partners. He has advised a range of actors in the supply chain including Microsoft, Google, IBM, Avaya, Verizon, Intel, Avnet, VMware, Citrix, TechData, CommVault to name a few. He is a member of the Cloud Industry Forum Governance Board and previously served on the boards of EuroCloud UK and Citizens Advice Bureau. He has authored books for both Microsoft and Google that can be found in the partner portals of these companies or any online book retailer. To record his industry musings and other areas of professional interest he maintains an active blog at www.frankbennett.co.uk and can be found on Twitter @fboncloud. 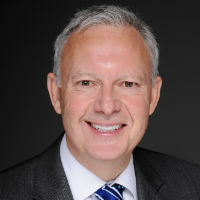 Frank holds the Financial Times Non-Executive Director Professional Diploma, is a member of the Institute of Directors, Ernst & Young Regional Independent Director Programme, KPMG Connect On Board and Financial Times Non-Executive Director Club. He is a mentor to young entrepreneurs building digital businesses and investor in those businesses and an advisor on the FounderDating network. Dai is a Technology Lawyer. He read Physics at Keble College, Oxford and took a Masters Degree in Computing Science at the University of Newcastle-upon-Tyne before qualifying as a Solicitor. He is a qualified Chartered Engineer and Member of the Institution of Engineering and Technology. Dai is an active member of the Society for Computers and Law in the United Kingdom and has been Chairman of its Northern Branch and a member of the Council of that Society. Dai has consistently been recommended in the Legal 500 and in Chambers Guides to the Legal Profession. Having been national head of Intellectual Property Law and later national head of Information Technology law at Eversheds for a number of years, Dai is now the principal in his own law practice, Percy Crow Davis & Co Ltd. He is based primarily in Leeds and London. Tony joined us in the summer of 2015. After studying for two degrees in law over 4 years at Cambridge University, Tony qualified as a solicitor some 36 years ago, and has practised on IT industry related matters ever since. Most recently, Tony held a dedicated global legal role with TCS, aligned specifically with a new digital software group. Before TCS, Tony practised for nearly 35 years as an IBM UK lawyer; during the last 15 years of his IBM time, Tony was the General Legal counsel responsible for support to IBM’s prestige Hursley software development laboratory near Winchester, where he worked closely with IBM’s IP Law Department. Today, as well as his FAST directorship, Tony is a legal consultant to OpenForum Europe, and he is also providing legal consultancy (through Jurit LLP) for a global IT manufacturer. Born in France, Tony also speaks French in addition to his (rather rusty) German. Richard’s work with The Federation compliments more than 20 years software industry experience, primarily in sales and marketing roles. Richard is currently Business Development Director, EMEA in EMC’s corporation’s Backup and Recovery Solutions (BRS) division. EMC is the world’s leading developer and provider of information infrastructure technology, see www.emc.com (NYSE:EMC). Prior to EMC, Richard held roles including Country Manager UK&I for F-Secure, General Manager, Software, at Computer 2000 Distribution and as business development manager for Autodesk, a manufacturer of the market leading “AutoCAD” and related product range. Julian is a practising solicitor graduating with joint honours from the University of Kent and subsequently completing his academic training at the College of Law, Guildford. Julian trained at Reading law firm, Field Seymour Parkes, and spent time working on ACID Intellectual Property (IP) matters at London firm, Theodore Goddard (now Addleshaw Goddard). In 2001, Julian joined FAST as Legal Counsel Internet and Corporate Investigations and has since been promoted to General Counsel which includes a cloud computing brief. Julian is an IP specialist running FAST’s Enforcement and Government Affairs programmes. His experience includes; end user compliance, cyber-pirate investigative activities, assisting law enforcement reducing IP crime and has acted in the High Court litigation on Operation Tracker which won FAST a World Leaders IP Award accolade. Julian is also Non-Executive Director at the Intellectual Property Awareness Network (IPAN). Nick is Principal at KounoupiasIP, a firm specialising in advice to IP rich businesses. Previously, Nick was a Partner at the law firm, DMH Stallard in the Dispute Resolution Group specialising in all forms of Intellectual Property (particularly copyright law), Human Rights and Cultural Property disputes. Nick was also formally Head of Litigation at the MCPS-PRS Music Alliance and managed the music industry anti-piracy unit for ten years. During this time Nick pioneered the use of private prosecutions of copyright infringers for the music industry. Nick is an ex Director of the Anti-Counterfeiting Group, past Chair of its enforcement sub-committee and a former vice Chairman of the Alliance against IP Theft. He was previously Chair of the Online anti-piracy committee of BIEM, the international umbrella organisation of music industry collecting societies. Nick is also a fully accredited mediator and has conducted several mediations. Ian Moyse, has over 25 years of experience in the IT Sector, with nine of these specialising in security and over 23 years of channel experience. He was named #1 on the top 100 cloud influencers list in 2015 & 2016. In 2015 he was named 46th most connected on LinkedIn Worldwide and awarded a Linkedin Power Profile as a top 10 Influencer in the UK technology sector. Starting as a Systems Programmer at IBM in the mainframe environment, he has held senior positions in both large and smaller organisations including Senior Vice President for EMEA at CA and Managing Director of several UK companies. Moyse has been keynote speaker at many events and runs one of the largest Channel Discussion Groups worldwide on LinkedIn. He sits on the board of Eurocloud UK and the Governance Board of the Cloud Industry Forum (CIF) and in early 2012 was appointed to the advisory board of SaaSMax. Moyse was recently awarded global 'AllBusiness Sales AllStar Award for 2010' and The 'European Channel Personality of the Year Award for 2011' and was named by TalkinCloud as one of the global top 200 cloud channel experts in 2011 and listed on the MSPMentor top 250 list for 2011 which tracks the world's top managed services experts, entrepreneurs and executives. Ian was also given the accolade by Channelnomics of 2011 Influencer of the year for Europe. In early 2012 Ian was the first in the UK to pass the CompTIA Cloud Essentials specialty certification exam, was appointed as a Thought Leader to Compare The Cloud and was listed in the worldwide SMB Nation 150 Channel Influencers list and appointed as Cloud Advisory Director to the Board of Evoco, a client transformation specialist company. Oxbridge educated, Dawn Osborne has over 25 years’ experience as an IP lawyer, having qualified in the City and has been a partner for over fifteen years in top tier IP boutique firms. She is primarily involved in litigation, advice and mediation. She has been consistently ranked in the Legal 500 for her IP work. She has recently been recommended as an IP STAR by Managing Intellectual Property Magazine based on client or peer reviews. She was given an award by INTA the international trade mark association for an outstanding contribution to the organisation. Dawn’s extensive expertise covers trademarks, copyright, designs, internet law and confidentiality/privacy. She is a board member of the Federation Against Software Theft and head of FLAG their legal action group, a qualified CI Arb Mediator and an INTA neutral. She has a particular reputation as an Internet lawyer being an expert in domain name resolution for WIPO, NAF, Nominet and for the .eu and UDRP procedures of the CAC and extensive experience in entertainment (publishing, music, film, theatre and sport), media, fashion, and luxury goods including high end jewellery, watches and motor vehicles. She has a national and international reputation and made partner in 2000 when she was seven years qualified. She is a Solicitor Advocate and in her spare time has studied history of art, world arts and culture and anthropology and edited the magazine of a major British museum. Personable and down to earth her interest in music has spun off into a regular radio show where she has interviewed rock legends such as Suzi Quatro and Steve Hackett of Genesis. She has lectured at international conferences with audiences as large as 5000. Leading Partner for successful case in the Court of Appeal for BMW against Technosport.